As you likely already know, there are millions of people all around the world that have a difficult time trying to make enough money to live happily. Some people are forced to scrape by from paycheck to paycheck. 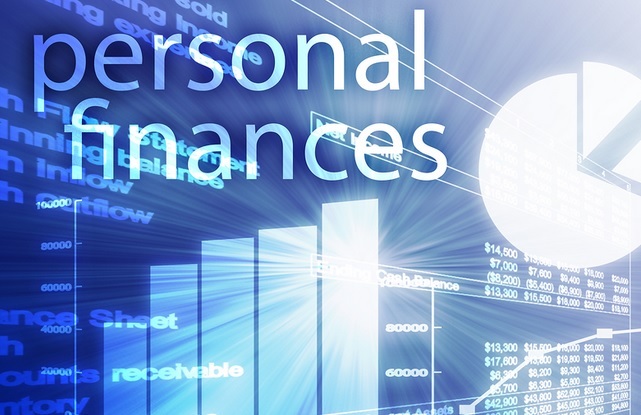 People can have better personal finaces, but how? The truth of the matter is that many consumers run into financial difficulty because they do not know how to properly manage their money. This is an unfortunate fact, but it is a problem that many people face. If you’re having a difficult time and wish to avoid living from paycheck to paycheck, you should better manage your money. For some, money slips through their fingers like grains of sand. Yet these perennial spenders don’t realize that they can cut their budget on many little things. When you manage your finances poorly you get the debtors at the door. Last demand letters and statements pile up in the living room and a quivering, shivering bank balance that’s teetering on the brink of your overdraft limit. It’s not a great way to start your day every day – and it doesn’t have to be this way. Indeed not every change in your lifestyle has to stem from some Del Boy-alike get rich quick scheme. All you need is a few small changes. It is, unfortunately, true that many consumers spend money on outlandish items that they do not actually need. This will undoubtedly create a major headache at some point in the future. If you’re spending too much, you’re going to run into serious problems. You should avoid buying luxury items that you really do not need. Just think about it. You might want a new television set, but you probably do not need it. With that being said, you should stick with the necessities. Buy food and reasonable clothing. Also, make sure that your bills are paid on time. If you do not need something, don’t buy it and save your money. While you’re at it, you should always do your best to make sure that your bills are paid on time. Bills can be very expensive, but you’re only going to run into more serious problems if you fail to pay them on time. Just think about it. If you fail to pay your electricity bill, there are two possible scenarios that could happen. You might be charged a late payment. Alternatively, your electricity could be shut off. If the electricity is shut off, you’re going to be forced to get it turned back on and this will usually come with an expensive fee. It is truly in your best interest to avoid both scenarios. Get your bills paid on time to avoid these problems and to keep more money in your pocket. An emergency fund is essential for everyone to protect against any unexpected emergencies. You start putting some of your savings into a separate account and only tap it if it’s truly an emergency( thus, the fund gets its name). It’s good to have six months of expenses saved up in an emergency account. I have 9 months of my expenses in an online ‘interest saving account’ from Discover, I earn almost 1.2% interest on this. If you’ve always struggled to create an emergency fund, consider starting small. You can start by saving $1 per week and increase it $1 each week. Save it in a bank account, by the end of the year, you’ll have accumulated $1,378 — plus interest. 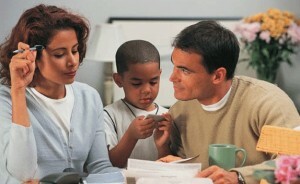 You don’t have to tackle your financial problems alone. Whether you’re in a major money trouble or a minor monetary issue, you can always arrange a meeting with a financial planner to discuss the finer points of your budgetary plans. They’ll be willing to discuss anything you want, from a loan to cover debt repayments to a more streamlined and easily manageable set of accounts. If you’re not comfortable talking about your debts to a bank manager, then why not find a friend or member of your family and seek their advice? Even those who aren’t bank managers have tons of experience sorting their own finances – so don’t take their tips lightly. You’ll head online and treat your little slab of plastic as an invitation to spend, spend, spend! But you’ll soon regret that view when you’re swirling in debt. So our advice is to use those credit cards in the right way. It’ll free you from debt before you’ve started. You should not forget that a credit line is not an excuse to spend. A lot of people in the US are now under enormous credit card debt, all due to irresponsible ways of handling their credit cards. As a rule of thumb, never spend more on a credit card than you can afford to pay off by the end of the month. Paying off your balance every month prevents you from incurring interest and late fees, and will ultimately help improve your credit score. There is no secret that people who don’t run out of money at the end of the month are the ones who spend less than they make. So, to have better finances, start tracking your spending and thus enable save! Keeping a spending journal for two weeks can really make a big difference in your spending patterns. There are many free tools available in the market that help you track all your income and spending. I think most of us know how much we make; the problem is that many of us have no idea exactly what we are spending each week. If you want to spend less so you can save more and pay off debt, you must know what you are spending your money on and then decide what expenditures you can eliminate or reduce. Consider using cash for two weeks instead of using your credit cards or debit card. I have heard that it hurts to break a $20, so maybe using cash can help you to start spending less of your hard-earned money. Don’t be one of those people who justify their debt by thinking that as long as you can afford to make the minimum payments on your credit card you are ok.
You must start paying more for your debt which will reduce the amount of interest you will pay over the life of that debt. Also by paying more towards your debt, you will be able to pay that debt off faster so you can start putting that money towards your savings and start earning interest instead of paying interest. Finally, do not be afraid to call your credit card company to negotiate a lower interest rate. The worse that can happen is that they say no! Between making excuses, having good intentions, or just breaking the promises we make to ourselves, it’s easy to understand how we oftentimes fall short of achieving our goals, but we have to start saving money now! There are so many ways! For our short-term savings, consider opening a savings account at a financial institution different from where your checking account is (to make it a little harder to get to) and set up a bill pay or draft where you pay yourself each month before you pay any other bills. In addition, start putting money away towards retirement because retirement isn’t a question of if, it is a question of when. If your company offers a match where they will contribute a certain percentage of pay if you are setting aside some of your earnings into a company plan, you are leaving money on the table by not taking full advantage of this benefit. For example, if your company will match $.50 of every dollar you set aside into your 401k up to 5% of your salary, by putting anything less than 5%, you are basically saying no to free money. The last simple tip when it comes to saving is this: saving something is better than saving nothing and whatever you have been saving, start saving more! We are busy, there are so much to do and so little time. You always wanted to go over your finances and take appropriate decisions. And when we get time most of us spend it thinking about the next best stock to buy. But, finances are so much more than the simple invest decision to buy one particular stock! Here’s what you can achieve in a single day if you dedicate it to go over your finances, everything related to finances, that is! How to Choose the day? First and foremost, you need to select a weekday, when banks are open. Don’t worry about the paid leave you need to take. The day’s effort shall pay you back many times over. You need to have a working internet connection and a phone line. The way you manage your finances determines your ability to meet most of your requirements. It also determines how effectively you can make savings, get out of bad credit and become rich. Here is a clear account of how you can get your finances in order in a day. Unless you know how are you spending your money, you can’t change your spending habit. If you do not identify a past spending as unnecessary, you can’t control impulse buying. I listed this one at the top, to emphasize the importance of this task. This can change your life if you determine flaws in your spending habit and take appropriate actions to rectify. There are various ways to review tour spending, if you are a budget guy, unlike me, you can review your records and notes. But, I assume my readers are computer savvy and maintain online financial accounts. All banks and credit card companies are required to give you access to your last 12 monthly statements, at the least. You can, most probably, find out a couple of items to cut cost on. We never knew our wine bill was $100+ for last 3 months, it was discovered very recently. Now for a family of two, who are not into much drinking, raking up $100 on wine bill is too much. Do you really need that Netflix subscription? Or, have you really used the gym regularly in last few months? See if you can cancel the memberships. Honestly, it doesn’t take more than a couple of hours. here’s all you need to know about drawing an annual budget. A disclaimer, I am not a budget guy. I don’t setup budget. Budgets do not work for me. I am much more comfortable in setting aside 50% of my income (we are single income family) into various investment accounts and spending the rest in whatever way we like. After a few months, if we see some money left in our spending account, we plan for vacation. It’s just a reward for ourselves for saving more than adequate amount. If you are a budget personal, do take this day to make a systematic budget. You can go into as much as detail as possible. You can use a piece of paper, a notebook or a spreadsheet on your computer. Read well-known books on personal finance. Here’s the greatest list of top 10 personal finance books. Don’t buy them, you can get it in the library, visit the library and read them. At least one of them. If you buy, you may never read it, also some cost is involved there too. You can also consult with a financial planner, in case you decide to do this on your PF day, do fix an appointment in advance. Be prepared and take all the records of your earning, investment and spending. Also, it’s very effective if you can note down all your questions before meeting your financial planner. As I recently posted my horrible experience with a frozen BofA checking account, It is extremely important that you take a look at your checking account(s). Logon to your account online, or visit a local branch for few mins. Is there a message or notification awaiting your attention? Is there any change in policy announcement in your mailbox? Are you paying a monthly fee just to have your checking account open? there are plenty of banks that do not charge any money for keeping a checking account with them. Are you vulnerable to overdraft charges? If yes, then check for banks with a lower overdraft fee. Visit local bank branches and ask for the details. Sometimes banks do offer sign up bonuses, that’s an easy $100 in your pocket. Having an interest paying checking account (especially with credit unions and online banks) is by far your best alternative to big national banks. I keep a small amount in our BofA account as they do not pay me interest. I have our entire emergency cash in interest paying capital one account. I do have checks, but I don’t need them. I recently checked my credit report and found one address wrongly listed. I disputed that entry with Experian and successfully got it removed from my records. Reviewing your credit file shouldn’t take more than 30 mins of your time, and it’s free. Login to annual credit report website, to obtain your credit report, they shouldn’t charge you, unless you want to see your score as well. Having accurate information on credit file matters. Any anomaly could affect your rating and score which will affect your ability to secure future loans. Even, nowadays employers do check credit history, so is the case with apartment association. This is where that decision to buy a stock comes in. To invest you need savings, if you save a fraction of your wage, You will have money to invest regularly. Even a tiny investment on a regular basis becomes a huge chunk of money in 20 – 25 years. You start small, may be even with a $100. The best way to save is to save tax-free. Open a retirement saving account, maybe IRA or a Roth IRA as they are the tax-free investment if you don’t touch it till you reach retirement. We are getting more than 6% return since last 4 months or so. Read more about various investment options. This investment account could be very well for your child’s education, or for your next car. Be it your car insurance, or home insurance. You can even lower your health insurance premium. When you start shopping around, you may, to your surprise, find a competitor offering you a lower premium, just to get your business. It’s OK to switch, as long as you don’t compromise on the need. You can only gain by comparison shopping. Are you paying too much mortgage, check to see if you can get a refinance. True, refinance is not one day’s job. But you can start on your PF day. Whatever you do, I encourage you to take action now. Plan for it and get your finance in order, get moving now! I enjoy articles like this. I already do most of the things you mention, but they are still inspirational. I also like the lists. I reread them frequently. You might consider having a female guest writer or your wife make a list of tips for frugal fashion ideas for women. I tried with her Carole. She’s too busy with our 2 year old. Can you write? Yes, I can write, but I’m in my 80’s, and my ideas might not be very up to date. Thanks for the above content to share with us. 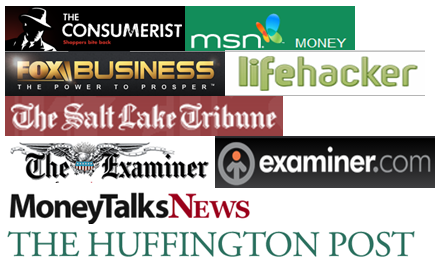 you can use the below mention tips also in order to make you personal finance better. Use of money management tools offers various utility functions like budgeting, banking, planning, investing, reporting, and tax management options to help us better manage our day-to-day finances. There are most effective money-management tools available online, that allows you to get a track of your finances for better and seamless wealth management. You can also Compare credit cards through CreditCards.com, IndexCreditCards.com, Bankrate.com, and work through which ones are best for you. You will learn money management and strongly develop customer service skills. There are many opportunities to help our community.